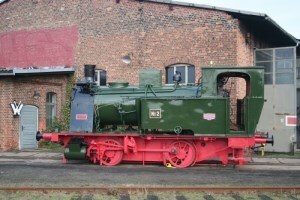 The four-coupled steam loco "Emma" was built as one of a large number of locos to an identical design, intended for industrial shunting work in the 1920s by Hanomag in Hanover. 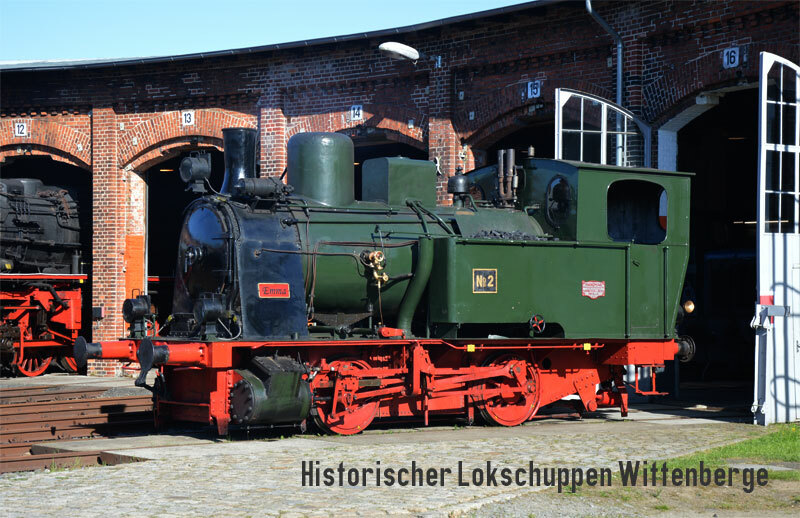 Our locomotive was delivered to the sugar factory in Rethen (near Hanover) in 1925. 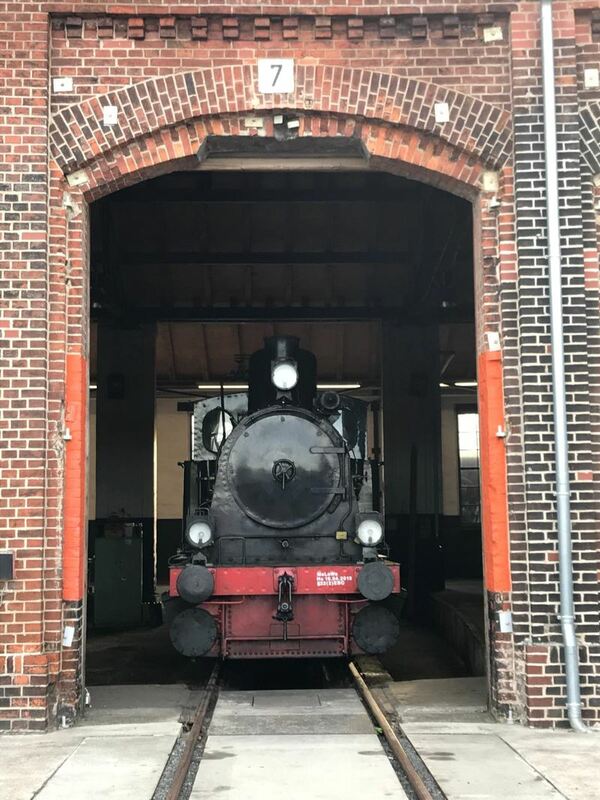 There she was used as locomotive No. 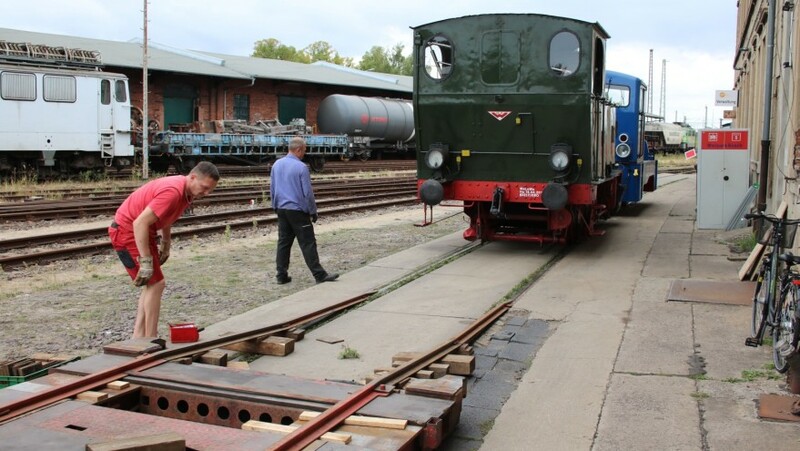 2 for shunting wagons during the sugar beet campaigns until the end of the 1960s, when she was taken out of service. 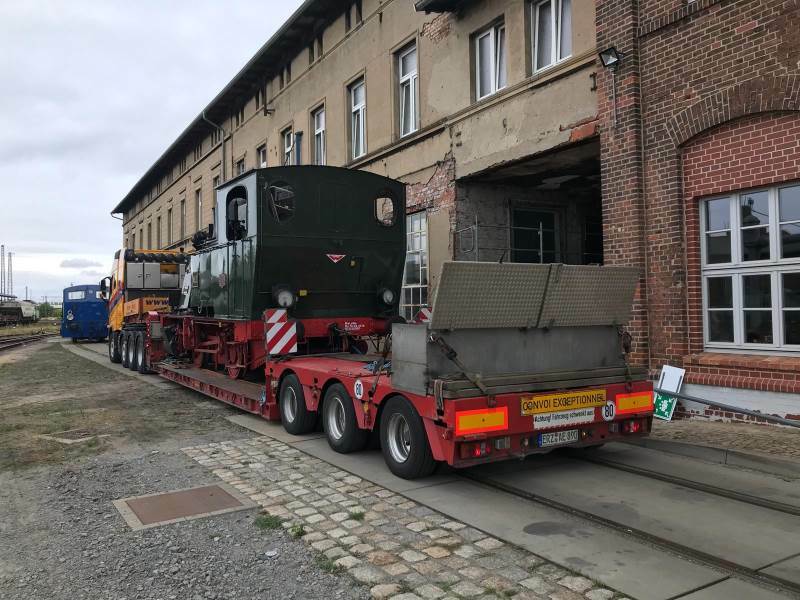 She was bought in the early 1970s and her new owner put her on a short piece of track in his garden in Schleswig-Holstein where she was later protected by a greenhouse-like hall. 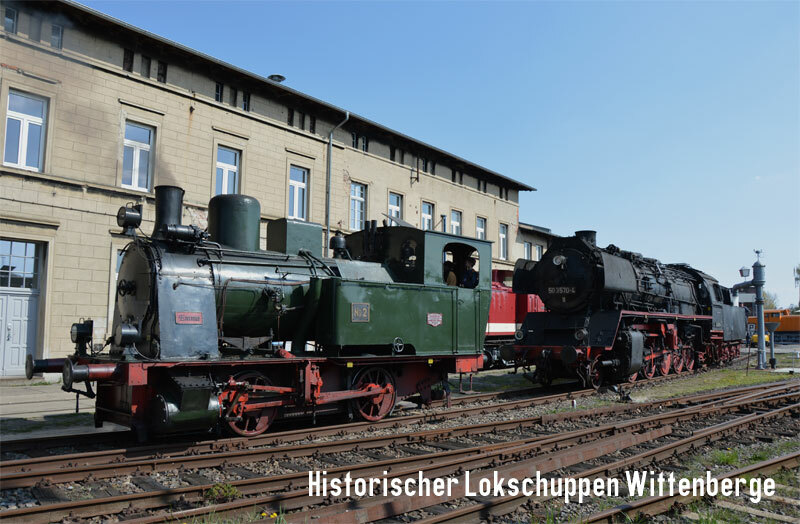 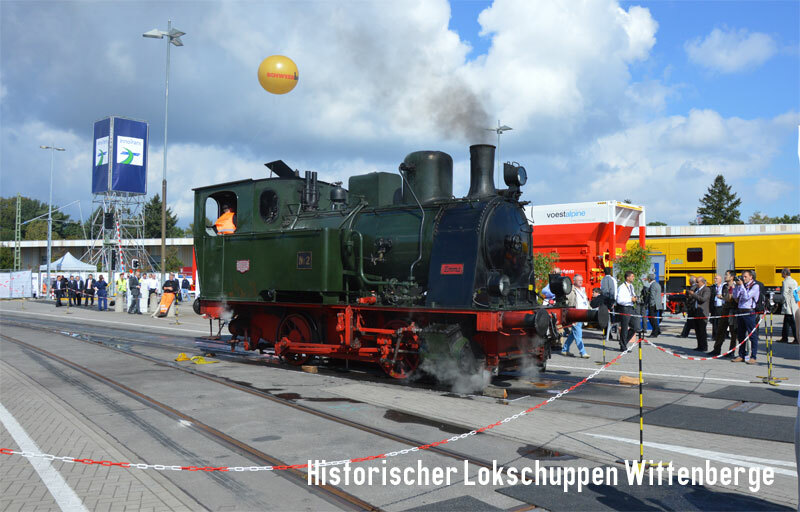 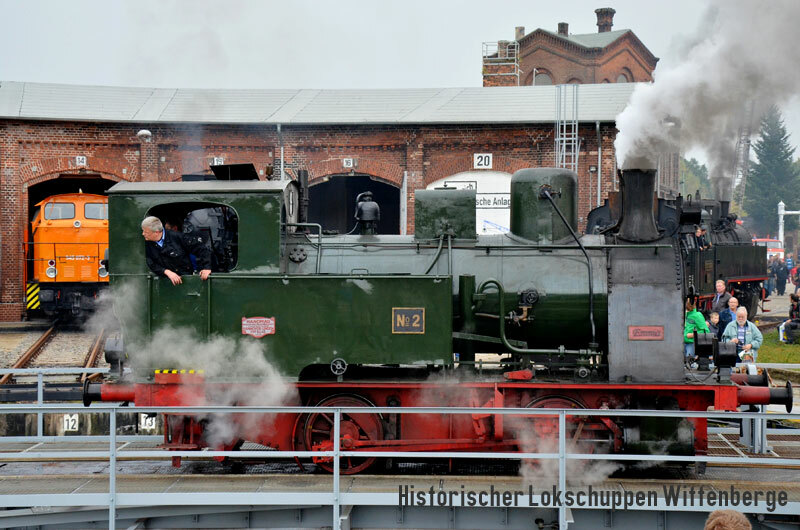 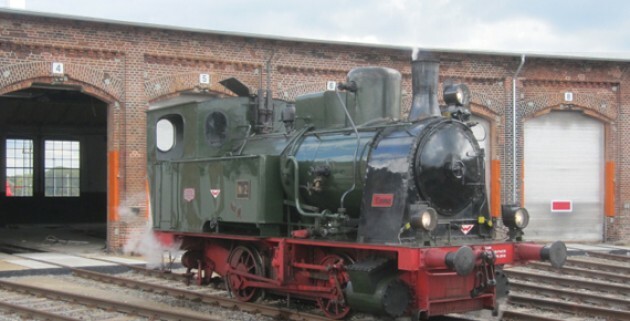 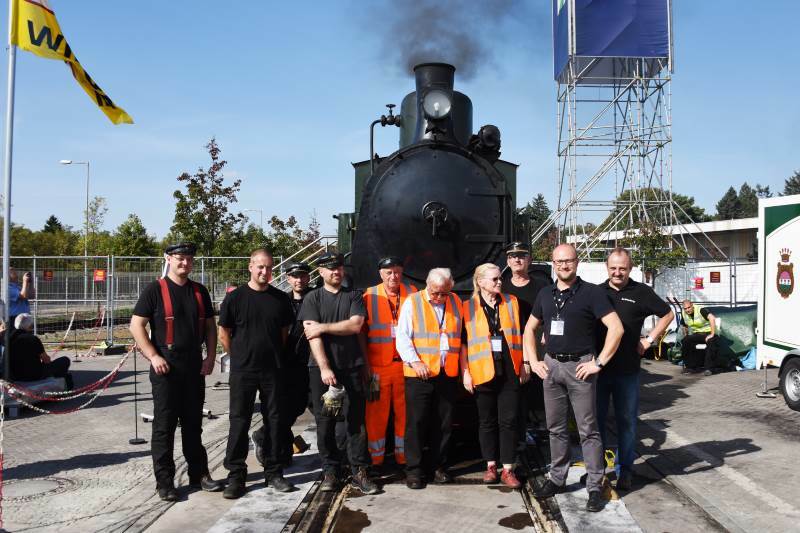 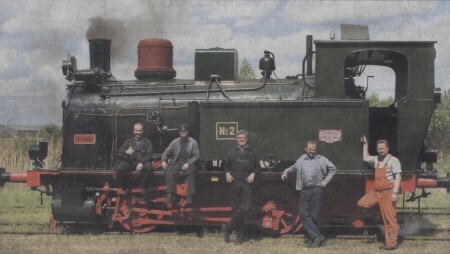 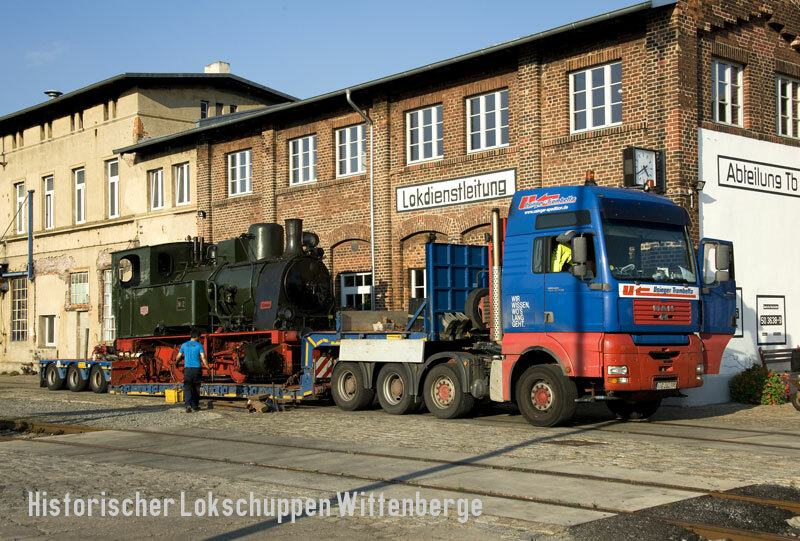 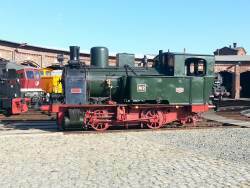 In 2008, the locomotive was put up for sale and the permanent way company Hermann Wiebe acquired her with the intention of restoring her to working order. 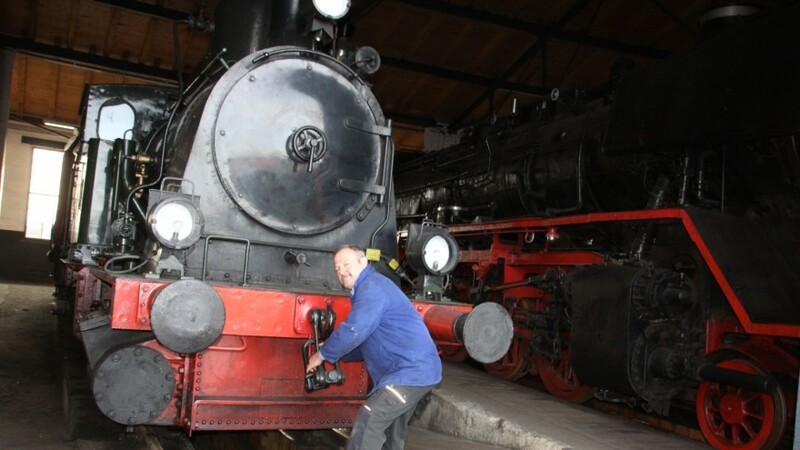 The work took some two years to complete, and she has been available to offer cab rides to our museum visitors since 2010. 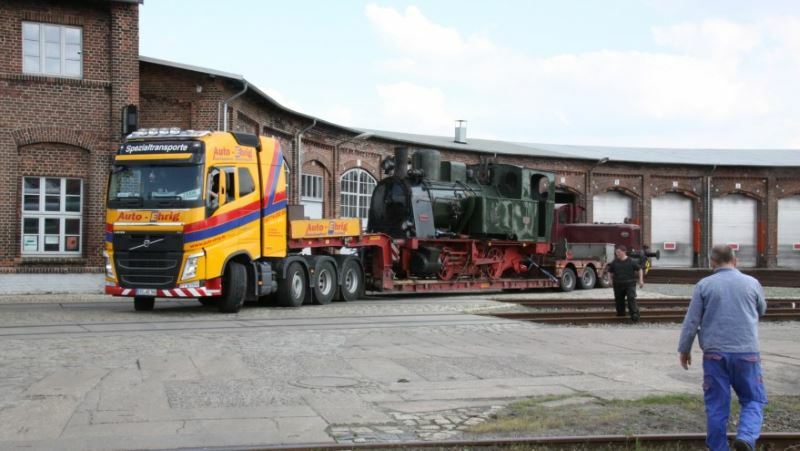 Due to her light weight and simplicity of design, she is relatively easy to transport bý road and so in recent years she has been transported to the biennial Berlin railway trade fair "Innotrans", the world's largest shiwcase for railway equipment, vehicles and technology, as an advertisement for the Wiebe group.